Despite the fact our website is chock full of Earsonics reviews this is actually the first time I have personally reviewed an Earsonics IEM myself. Technically I have two in the office right now, the ES-2 and ES-3, so there will be another review in the not too distant future on the ES-2 with a short comparative discussion in this review between both IEMs. 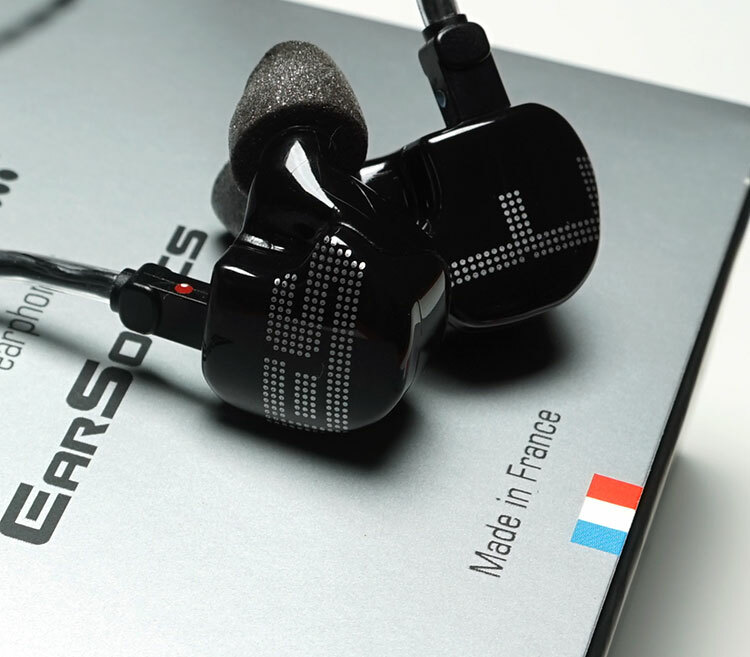 For those also fresh to Earsonics, this is a well-established and popular earphone manufacturer from Castries in France. From my pre-review discussion, I got the feeling from the team that is something they are very proud off. I got that same vibe also from Italian Manufacturers, UBSOUND previously. Nothing beats making a homemade product from locally sourced materials, constructed and assembled from a regionally employed workforce. Earsonics have divided their IEM range into four product lines; custom, music, signature and classic. Each line has a specific target customer group and technical characteristics such as custom builds and tunable crossovers. The ES-3 is part of their “Music” line and fits right in behind their flagship S-EM9 9 driver IEM (though the price difference is significant between the two). This is a 3-way or triple BA IEM with a few design quirks from Earsonics to mark it out as slightly different to the traditional BA design. The pitch of the ES-3 is to appeal to the widest demographic possible without losing its audiophile sensibilities and priced at 399EUR this is right in the sweet spot for a lot of new competitive IEMs such as Campfire Audio, Cypher Labs, and Noble. Earsonics are pitching the Es-3 with a few technical innovations worthy of note. First, the BA design is entirely proprietary. This means not only the acoustical chamber and tube design but the BA drivers themselves. There are not ‘run off ‘drivers but designed from the ground up by Earsonics themselves. This is a costly exercise due to the exclusivity of the manufacturing process but one which gives Earsonics complete control of the product development process allowing them to tweak and design in parallel rather than stick a square peg in a round hole in a series of forced compromises. Second, within that design, Earsonics have made two important design tweaks that they feel will give the E-3 an audible edge. The first being “flexible rooms” which I take it to mean pockets for inserting the drivers to give them a wider range of build options and the second is the shortening of the tubes with diffractive acoustic chambers which Earsonics claim will offer enhanced resolution and a bigger soundstage than traditional triple BA designs. 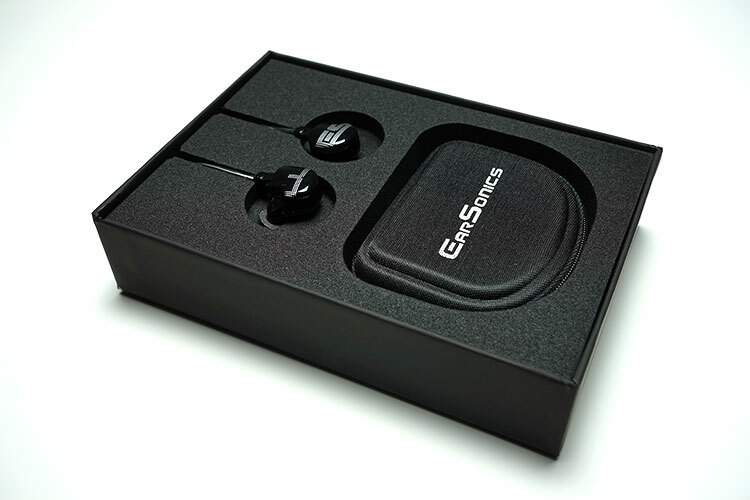 This is a lightweight medium sized BA IEM built from reinforced acrylic and coated in a glossy black finish with “ES” on the right shell and “3” on the left shell (ES-2 follows a similar pattern but with 2 rather than 3). The main shell is comprised of two halves though the seal is contoured rather than deploying straight lines which presents a more attractive aesthetic. The seal is held together with 2 small and very discreet star screws (not Torque) on the base of the shell. The curves of the shell are not completely smooth and curved. There is a very slight cornering effect on the edges of the plastics but its very minimal and too smooth to be a concern. The nozzle itself is short but it is deployed in a dropped funnel from the main shell giving it a longer look and feel. If you look down the nozzle you will note how far back those dual bore tubes designs are to the tip. It is almost 0.5cm and one of the key designs that would assist in giving the BA design an enhanced soundstage delivery. It sort of reminds me a little of the Vision Ears large single bore design on their customs only much smaller in diameter. It is indeed very similar in form factor to the original Velvet design though if you will notice that on the top faceplate Earsonics have not dropped the front part of the shell and instead kept it uniform in look and fairly flat. I suspect this keeps the design costs down in terms of cutting with fewer curves and grooves to account for. The “in your face” branding of the top shell does a good job of livening up the shell to compensate and prevent it from coming across as a bit bland. The ES-3 is terminated with a flush 2-pin socket design for over the ear wearing and comes with a fairly standard CIEM type intertwined black 1m cable with a right-angle gold plated 3.5mm jack. Strain relief is excellent on both the y-junction, which is fairly hefty in comparison to the rest of the cable, as well as similar strengthening on the jack. The memory hooks are fairly stiff but manageable for hooking around the ear. The cable itself I have come across in plenty of guises down through the years with CIEM manufacturers which means its soft, pliant, easy to work with and fairly low on microphonics. The chin strap is a basic plastic tube, it is functional but nothing special. The ES-3 has a strange fit. A good fit actually but a strange way of acquiring it. The nozzle is angular in such a way that the natural position of the shells, between the pinna and outer ear, is slightly sticking out rather than sitting flush in. The seal, particularly with the foams, is fairly easy to acquire once you allow the shells to naturally flop out a bit. Once acquired, particularly with the foams, passive noise isolation is excellent which is to be expected. Physically the rear of the shells do press high into the triangular foss basin and scapha (ear terminology) quite a lot which in turns create a little bit of outward pressure. That pressure keeps them rock solid but I suspect if you had a much smaller ear this pressure might be a bit awkward for longer listening periods. In short, you will feel their presence and they do not sit flush in your ear. Using smaller tips may allow that pressure to lessen somewhat but could result in a slightly below par seal. Of course, this can be purely anecdotal given all our ears are very different but generally speaking quite a lot of IEMs I have tested have tended to push down a bit more on the lower concha and the ES-3, with its long angular stem seems the opposite by pushing up and back. Just to prevent confusion the 4 means two sets so with the Comply Tips you get medium and large x 2, with the silicone you get dual flange in small, medium and large sets as well as one extra very large silicone single bore set of tips for what looks like a giant’s ear. 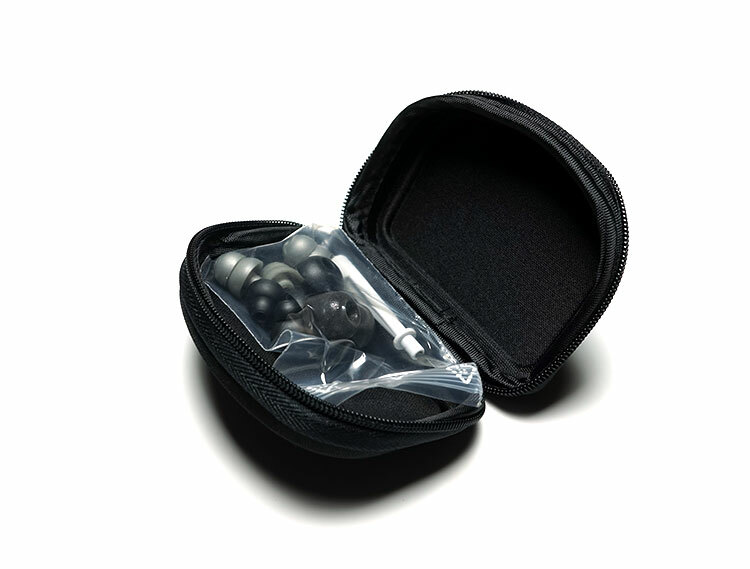 The carrying box is a semi-oval slightly stiffened zipper case with the Earsonics logo on top. It is rather small and a bit underwhelming but there is just enough room to fit the ES-3 and the accessories bag inside. There is no wire mesh though to keep the accessories separate from the rest of the area so you will have to use the included plastic bag if you want to bring all the accessories with you otherwise they will all fall out once you unzip. The ES-3 has a smooth sounding slightly u-shaped presentation with a full bodied and well-controlled low-end response for a BA design. 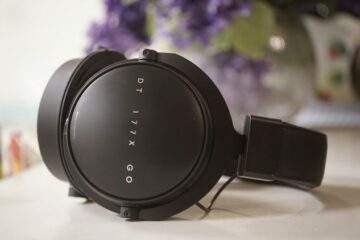 It also delivers a spacious and natural sounding midrange with excellent vocals and a lively but balanced treble performance. Staging is excellent, much superior to some traditional triple BA designs I have heard before with good depth and excellent width. Nothing is sharp, peaky or uneven sounding with the ES-3. This is a musical tuning, a fun profile, yet pleasingly coherent, detailed and offering a very nice turn of pace. Imaging is on point, accurate and engaging. Nothing feels congested with the ES-3 which is very appealing to my own personal preferences. It is perhaps one of the most pleasing tonal presentations I have heard in a long time at this price range. The ES-03 bass performance is thick, textured, weighted but not bloated, uneven or congested sounding. It’s actually reasonably linear with a slight sub-bass to mid bass bias rather than an out and out mid-bass emphasis. 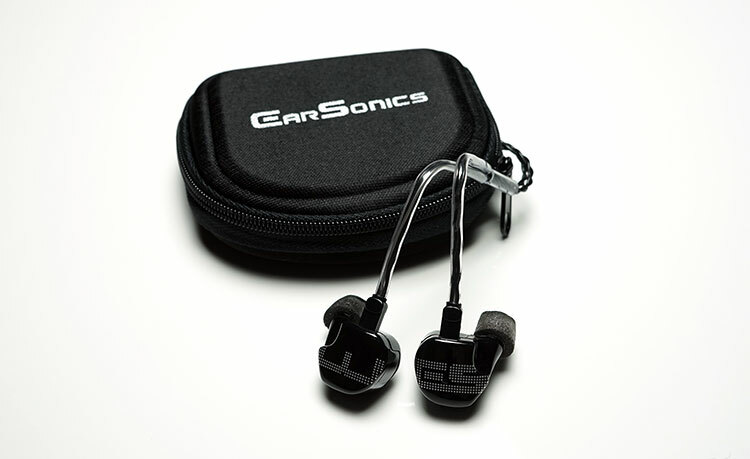 Earsonics have kept the bass performance of the ES-03 powerful but balanced and spacious. It stands testimony to the proprietary BA design Earsonics have created for the ES-03 that its low end can be both quick and detailed yet spit out a bass response that sounds as natural and controlled as this. Despite the slight u-shape the mid-performance on the Es-03 is spacious sounding with fantastic detail and a very natural sounding timbre. Instrumental separation is excellent, imaging is accurate and vocals benefit from a slightly enhanced upper midrange presentation. Upper bass to lower midrange is slightly more muted sub-1k but nothing terribly noticeable. Energy starts to pick up post 1k with a gentle but noticeable lift in vocal presence and clarity. At all times, there is an excellent control on sibilance which is one of my favorite traits of the ES-03. Nothing edgy about the vocal performance with the ES-03 be it male or female vocals. Treble on the Es-03 is energetic yet smooth and well extended. There is a slightly drier tonal quality with a shortish decay but it is still reasonably airy just not as forward or clean sounding as something like the IT03 from iBasso or the Savanna from Noble. On the flip side, it sounds very coherent and balanced with very good articulation. There is just enough sparkle around 5-7k and just after 10k to keep things “hi-fidelity” and prevent it from sounding rolled off or attenuated. Different tonality, Primacy has more top end energy, ES3 might be superior with staging. Different sounds for me. The ES-3 is one fo the best triple BA’s I have heard but the Martian is tuned very differently with dynamic driver hybrid BA signature. The ES-3 maybe the more balanced offering. Yeah I figured they were different sounds and signatures, do you feel like they are on the same level though? 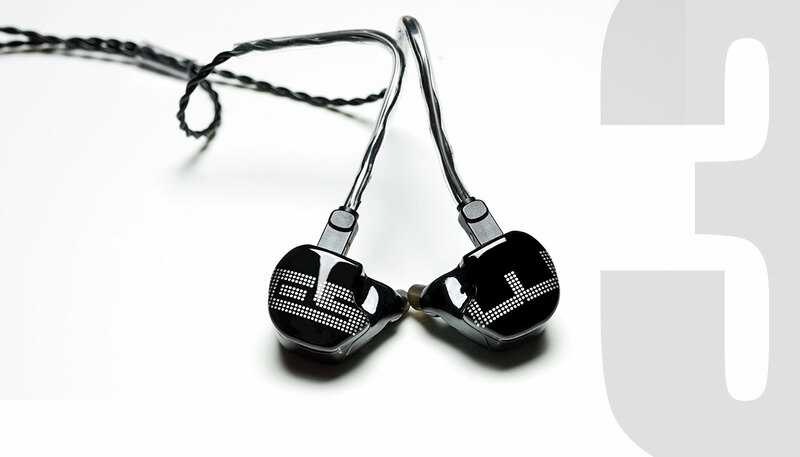 I am leaning towards the the Es-3, Tralucent 1plus2(used), Westone um pro 50, and finally the inear stagediver sd4. From what I read all of these IEMs are balanced pretty well for pretty much most types of genres( I listen to all types of music from Indie/alternative to instrumental/classical, to Cinematic soundtrack/scores, to hip hop. So I like a good tonality and balance with decent staging and detail. I personally prefer the ES-3 for a balanced signature over the Westone but sorry not tried the Tralucent.